DR JOHN Prain, a retired consultant pathologist and lifetime Longforgan resident, has died aged 95. 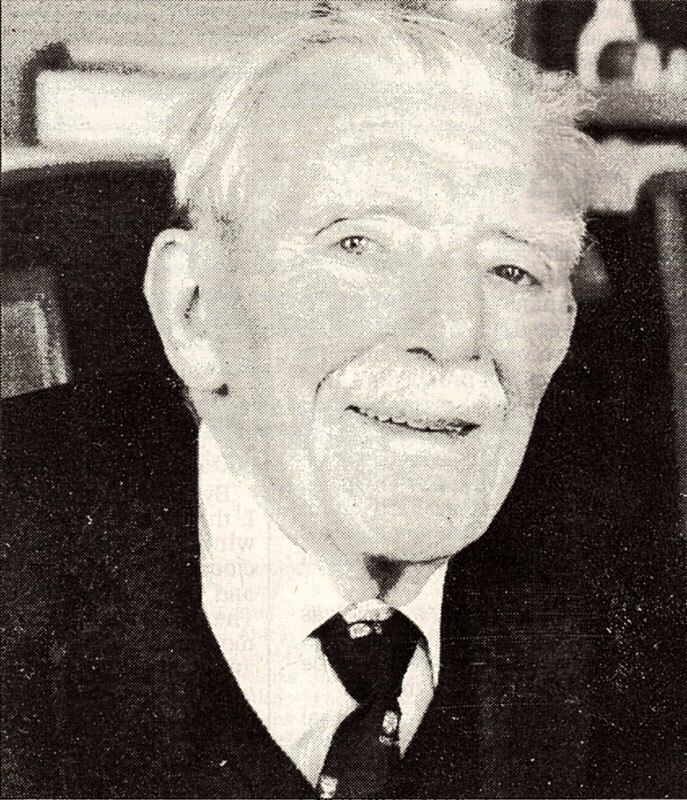 Born in Invergowrie, Dr Prain was educated at the village primary school and Morgan Academy and gained his medical degree with distinction at the then Dundee University College. After a staff appointment at Maryfield Hospital he took up a military post at the War Office. At the outbreak of the second world war he joined the Royal Army Medical Corps and was involved in the Dunkirk evacuation. Dr Prain, then a colonel, was captured in the Middle East and taken to a POW camp in Italy. He escaped after the Italians surrendered but was recaptured by the Germans. He was on the march of prisoners across Europe and was eventually liberated by the Russians, serving as a medic with the Red Army during the final weeks of the conflict. On his return to Scotland, he commanded 153 Field Ambulance (TA) in Dundee and was the director of medical services for the Highland Division between 1953-1959. In 1959, he was appointed as honorary physician to the Queen following his service in the Territorial Army. He took up a position as consultant pathologist for Perth and its surrounding hospitals in the early 50s and worked in the laboratory at Perth Royal Infirmary until his retirement in the early 1980s. Dr Prain and wife Joan built a house in Station Road, Longforgan, in 1954 and remained there for the rest of their lives. On his retirement, Dr Prain became chair of the Moncur Trust, a charity that donates thousands of pounds to local causes every year. He was involved with the organisation for 15 years. A proud Longforgan resident, Dr Prain was for many years an active member of the community council. He was also a keen angler and golfer and a member of Balruddery Curling Club. Mrs Prain died last December, just a matter of weeks before the couple were due to celebrate their 69th wedding anniversary. [S14] General Record Office for Scotland, online www.scotlandspeople.gov.uk, General Record Office for Scotland (Edinburgh, Scotland), Longforgan 377/00 0032. [S9] Website Ancestry.co.uk (www.ancestry.co.uk) The Medical Register 1939 [Nov 2010]. [S14] General Record Office for Scotland, Dundee 282/02 0029. [S20] Unknown author, 'article', Dundee Courier & Advertiser, unknown date (DC Thomson, unknown repository reference) Obitury pg11 [Jul 2010]. [S20] Unknown author, 'article', BMD Notices [Jun 2010]. [S6] PCC & CNM [Dec 2006].